Business intelligence (infrastructure and base data), rolebased IdM/IAM, network security. The business intelligence project is part of a larger program to implement improved access to relevant, timely, and useful information for executives, managers and other decision makers at the university. 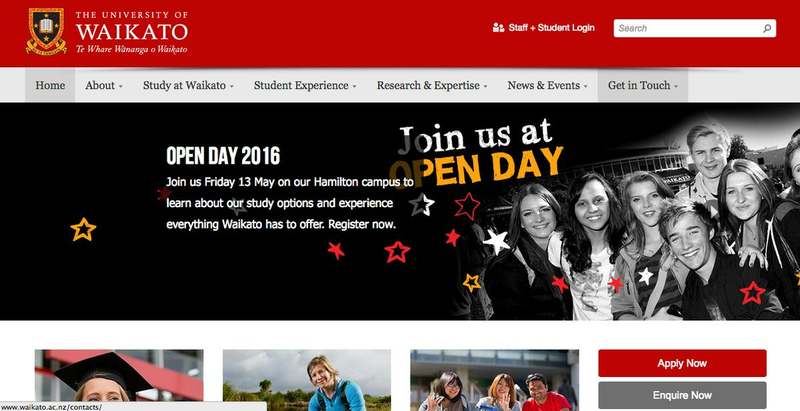 THIS YEAR, THE ICT team at the University of Waikato will be working on a raft of projects around big data and business intelligence, led by its new director of ITS, Eion Hall, who starts this March. Hall came from the Hamilton City Council where he was commercial director and its CIO. He took on the role at the university following the departure of Kevin Adamson who had been in the job for eight years. Dougal Mair, infrastructure manager and acting director of ITS at the time of the CIO100 research, says projects that will drive the most IT investments this year include application modernisation, customer experience technologies, security and risk management and content management. Mair explains the business intelligence project is part of a larger program to implement improved access to relevant, timely, and useful information for executives, managers and other decision makers at the university. To date, the business requirements for analysis, tool-set selection (Microsoft) and implementation, and some initial data sets and reports have been completed. This year will see further data sets and reports implemented using the BI platform. “A key outcome of this project is to consolidate data from multiple sources and provide consistency of defined data used in reports,” says Mair. With a large number of users (the university has 12,533 students and 2621 staff active user accounts), identity and access management and the timely administration of end-user networks accounts has been an ongoing issue, says Mair. Last year, the ICT department completed the in-house developed User Account Management solution, which will be rolled out early this year. The solution is based on there being one identity for users, but supporting multiple roles per user, he explains. User access is based on Active Directory (AD) groups, which are synchronised with the in-house IdM/IAM toolset using Microsoft FIM-Sync.